More information was gained yesterday on the Star Mountain Plaza flora project currently being undertaken in the nation’s capital. Being the first ever attempt at hoarding all plant life unique to PNG in one place, the SMP landscaping project will showcase twelve thousand examples of PNG’s botanical beauty including the country’s three thousand known legendary orchids. It was released yesterday that the project will cost K6m. Speaking to Post Courier yesterday, Landscape project architect Louise Dunning said that the project is being designed to fully immerse visitors in a typical PNG forest, culminating in the presentation of all native plants and animals living seamlessly in full few of those who are staying at the plaza. “Our aim is to showcase the nation’s rich natural flora in the middle of Port Moresby to world leaders, business leaders and other international visitors for years to come. 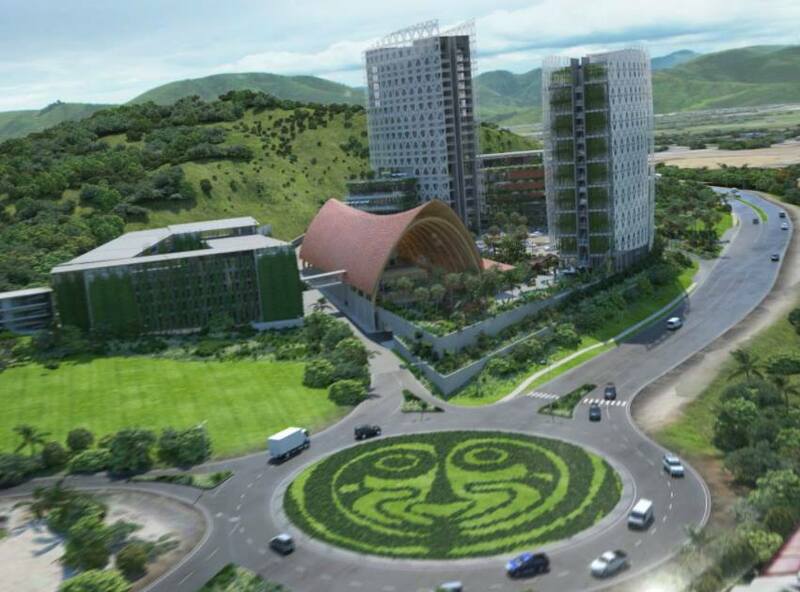 “When completed, we will have created a landmark design which will showcase the rich, natural ecosystem of PNG to thousands of visitors who may not get a chance to venture beyond the city area,” said Dunning. Dunning admitted that one of the biggest challenges would be in ensuring the plants receive sufficient water during establishment, in a country where water is at a premium. But it was also stated that proper research and ground work has been done into catering for the different water needs of every plant that is planted. The landscaping project began in May and shall unfold in ten stages of planting aimed at being completed in late October. Yesterday it was ascertained that multiple companies shell be joining forces to tackle the mammoth task to ensure that it is completed ahead of schedule.